SUPER WATER-ABSORBENT. Super water-absorbent and dries your hair fast and save your time, drying it naturally, without an electric hair blower. Reduces risk of split ends. 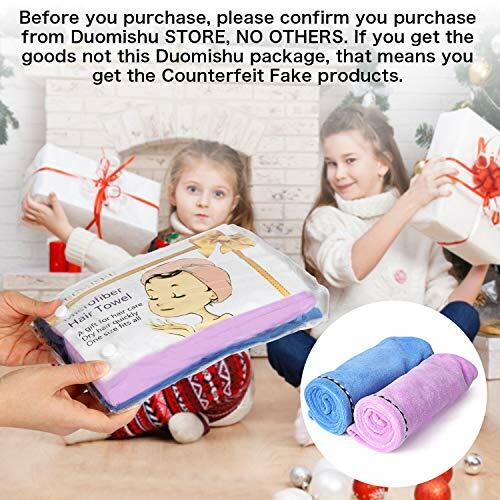 NOTE : We only guarantee the product quality from DUOMISHU. 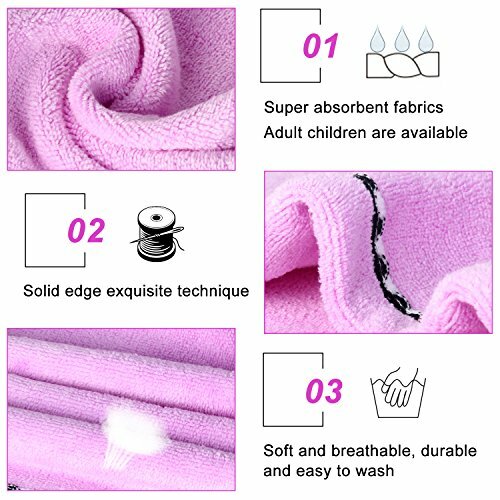 The towels from other sellers on our site are FAKE and CHEATING. DURABLE AND SOFT. 100% superfine composite superfine fiber material with a button to secure your bath towels, your hair will not slip when you take a bath. Very easy to use. VERSATILE. Microfiber towels are ideal for everyday use at home, at the gym and travel, it is a great assistant in Facial, Bath, Makeup, Face Wash. Fits all hair types and lengths. HOW TO USE. 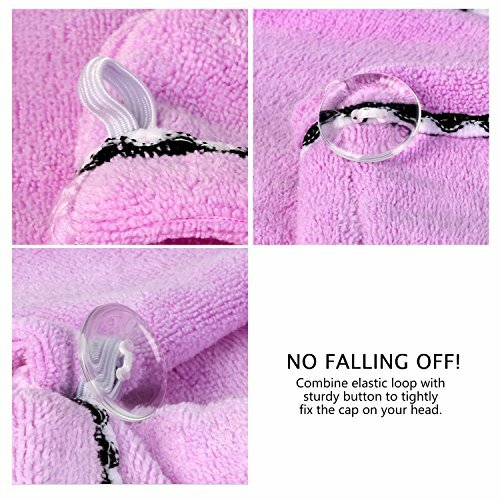 You can bend your head forward and let your hair flow by naturally, put on the magic hair drying Cap and twist of all hair, fold back the magic hair drying cap button up on the hair. PROTECT YOUR HAIR. Using the hair dryer will do great damage to your beautiful hair. The towel will absorb moisture in your hair during this time. It is the softest way to dry long hair. Does your hair still dry with the blower? Also destroy hair organization? Catching a cold due to her wet hair? The high temperature blower your hair with smooth hair is dried, withered, yellow and forked. 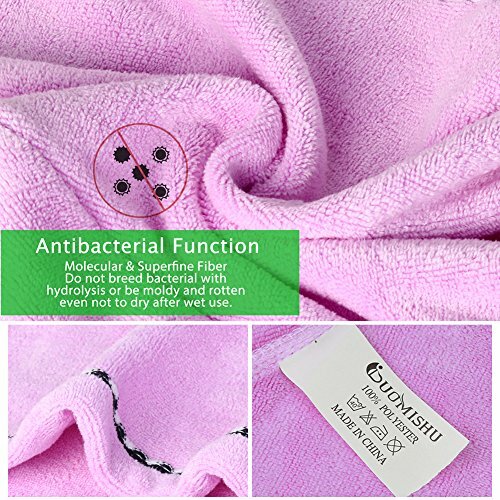 This Microfiber Hair Towel is made of super soft microfiber fabric. Its high water absorbency can dry your wet hair effectively and in a more natural way. Make the switch now to get rid of hair damage caused by hair dryer. A hair drying cap is more convenient to use and will prevent scalp hair moisture from losing. A button is designed for easily and conveniently fixing the cap on your head. 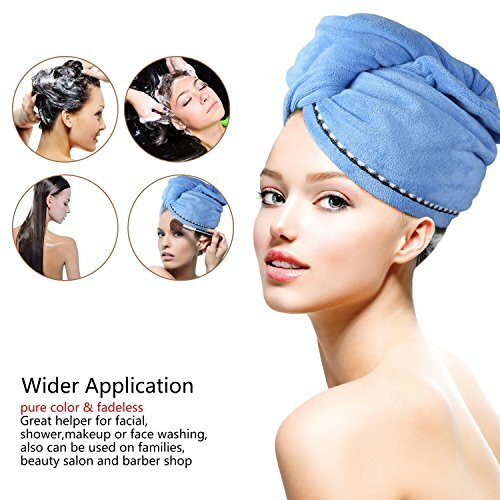 This microfiber hair towel is both fashionable and practical for your household and bathroom. The cute packing bag can be used to organize toothbrush, comb, towel and cellphone when traveling. 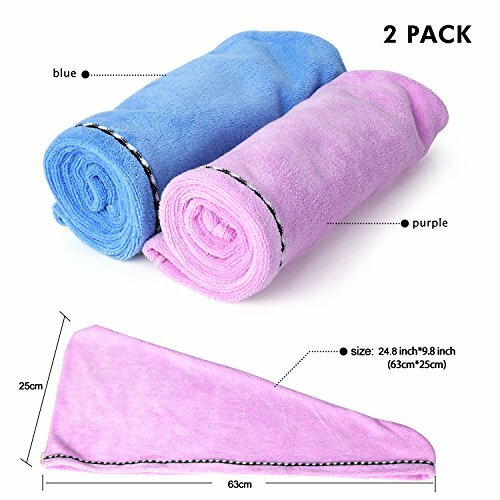 These hair drying towels are slightly wider and thicker than before. The loop and button are also improved. Please be aware of the size if you have pretty long hair. 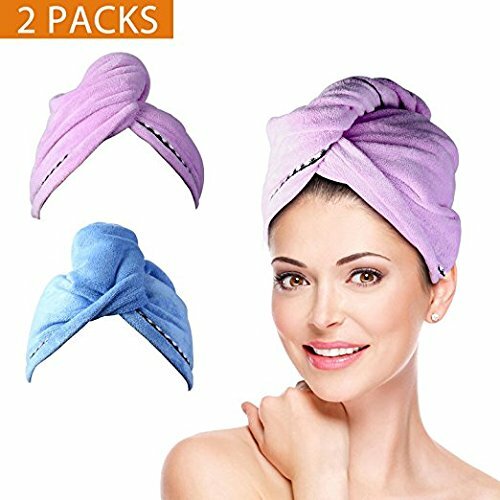 Please pack your long hair into the turban or use it as a regular towel to dry your long hair more efficiently. 3. Pull up the secure loop across your head and fix it under the secure button.